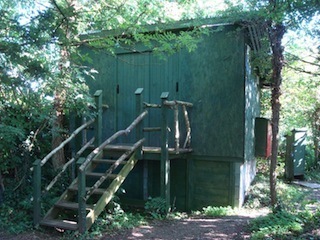 A sustainable and low impact holiday – glamping style. 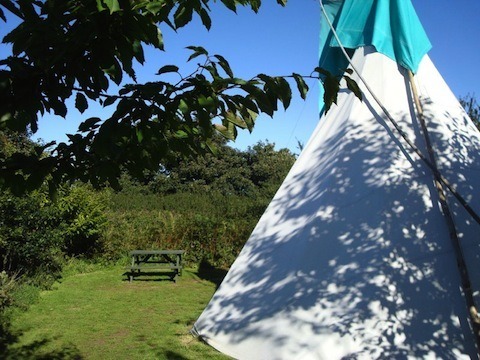 Anglesey Tipis and Yurts holidays have two tipis (only one of the tipis is big enough for a family) and three yurts set in a woodland surrounded meadow. Chill out with the hammocks strung up in the woodland. Keeping with the low impact theme the site uses composting toilets (flush toilets also available) and eco friendly washing up liquid and soaps. The site produces free range eggs and some vegetables (depending on season), so you could cook your meal with the on-site produce, or even take a veggie box home. There is a communal fire pit, and firewood is available on site. See our article on cooking outside for ideas on campfire cooking. For the smaller family tipi (sleeps 4) prices start from £80 per night for 2 nights (minimum stay), and it’s £60 per night for 5+ days. There is also a yurt (sleeps 4) where prices start at £96 per night for 2 nights, falling to £70 per night for 5+ nights and the larger yurt (sleeps 5) where prices start at £120 per night for 2 nights, falling to £88 per night for 5+ nights. Please check their website for the latest details. 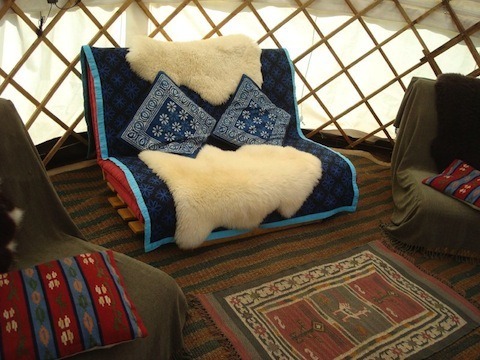 Here's how you can get in contact with Anglesey Tipi and Yurt Holidays. Cae’r Gaseg, Brynteg, Anglesey, LL78 8JT.